So, you want to go to Cuba. Which you should! Now. Yesterday. Before America relaxes all of its traveling restrictions. Some predictions put the number of Americans that will then stream into Cuba at 10 million annually, turning the island country into the next Caribbean once-paradise ruined by Bud Light, chicken nuggets, all-inclusive resorts, and port shanty towns for the brave cruise ship explorers. At the very least, it won’t be the same. Is it illegal for an American to go to Cuba? C’mon, don’t be a jerk. The answer is “yes.” That is, because the country has an embargo on Cuba, it’s illegal to spend money in the country, and you can’t get into Cuba without spending money. So, if you want to go the legal route, you need to approach the U.S. government and get them to approve a special visa for your travel. (Or, travel for one of the 12 “approved reasons for travel,” more on this later.) No official records exist — for obvious reasons — but something like 30,000 Americans make the trip every year into Cuba. 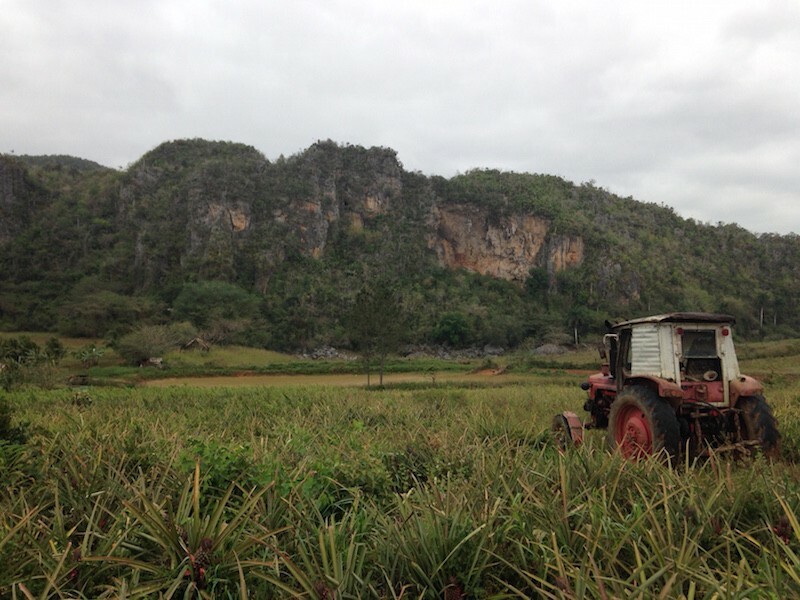 I have yet to find any evidence of anyone who was punished for illegally visiting Cuba, other than anecdotal second-hand stories of people having cigars confiscated. It is still U.S. government policy that travelers who fail to comply with Department of the Treasury regulations may face civil penalties and criminal prosecution upon return to the United States. 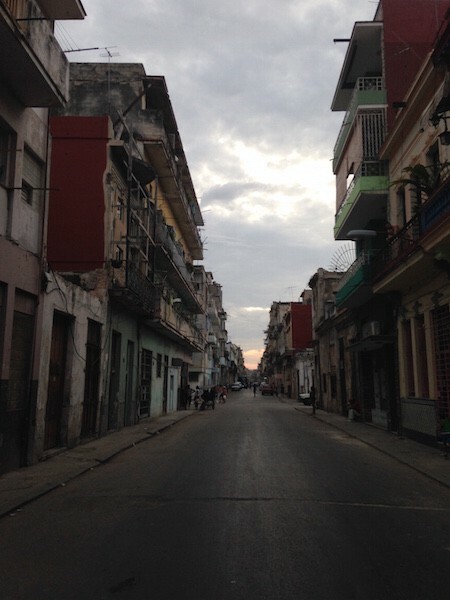 On the other end, Cuba doesn’t care that Americans visit and spend money. So, how does one get in? Previously, there were no direct flights from America to Cuba unless you’re Obama, The Rolling Stones, rich enough to charter a plane, or on an official ambassadorial trip. And if you’re reading this, you’re none of those.The accessibility is changing — American Airlines now has flights into Havana from three different U.S. cities — but until recently, travelers needed to fly through a third country. Mexico’s a popular one, with Mexico City or Cancun being the main go-to cities depending on which part of America you’re coming from. Canada is a good option; we met a guy from New York who drove to Toronto, parked at the airport, and flew down, which all seems very easy. The upside of having to fly through a third country is that the act itself feels dangerous, like you’ve got some big secret you can’t let other people at the airport know about, but in reality absolutely no one cares. Still, it’s fun. 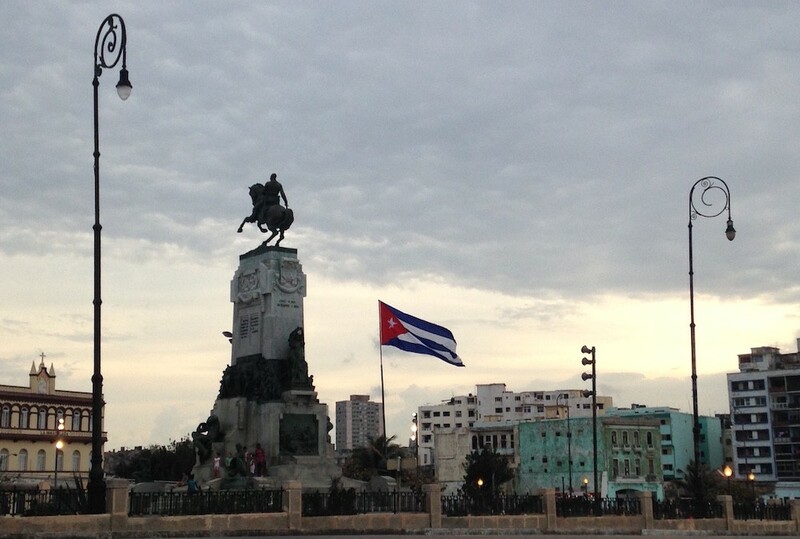 Will Cuba stamp my passport, offering proof I’m a traitor of some sort? As far as we could tell — both from our experience and everyone we spoke to — Cuban immigration has taken to putting a piece of paper on top of American passports and stamping that instead of the actual passport. Maybe from so many Americans asking them to not stamp their passports? Definitely helps, at least to know the basics so you can follow simple directions. But most Cubans know a little get-by English, as they’re taught the language as part of their education. 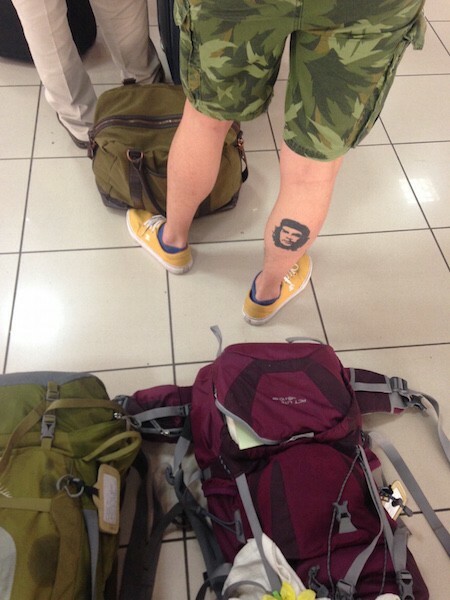 Here’s the other thing: Cuba is full of tourists. A lot. Just not Americans. Keep that in mind when putting together whatever mental image of Cuba you have. Most of these tourists use English as the main lingual point of connectivity. You’ll find enough common ground to figure things out. This is tricky. If you have an American bank account, you won’t have access to your money while in Cuba. Sit down, figure out a budget, withdraw the cash you’re going to spend, and then, you know, don’t lose it. The Cuban government doesn’t release crime stats, but we were told quite a few times not to worry about that much because robbery is strictly and forcefully punished in the country. In any case, we never felt in danger. Basically, don’t be an idiot. Another thing to consider is how to convert your American dollars into Cuban currency. The only place to obtain Cuban currency is in Cuba, but because of the still-weird relationship between America and Cuba, they take 10% off if you’re converting American dollars into Cuban. The best idea is to first convert your dollars into something else (we did Euros) while in America, and then convert those something-else’s into Cuban currency. 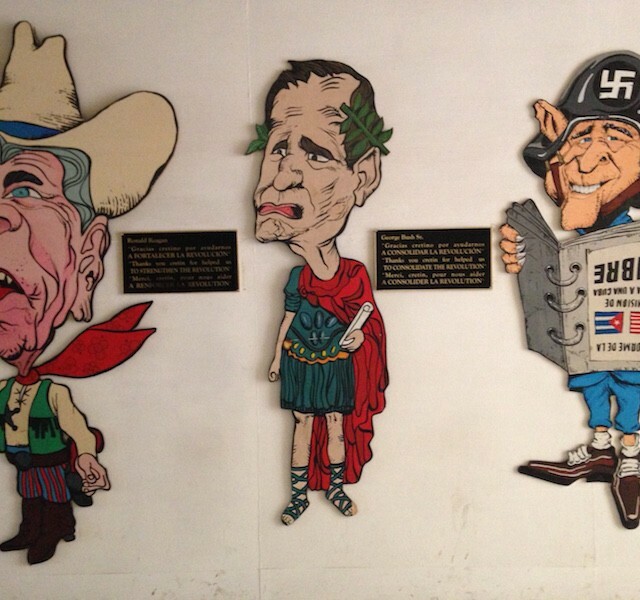 What is Cuban currency, anyway? Cuba has two official currencies, which confusingly look alike and have similar acronyms. There’s the Cuban peso (CUP) and the Cuban convertible peso (CUC); the former have people on them, the latter monuments. Historically, the CUP was used by Cuban citizens, while the CUC was a “Currency substitution” or “dollarization” — essentially a parallel dollar, used mostly by tourists. That’s still technically the case — as a tourist, you only can get your money exchanged into CUC at the currency exchange — but we found plenty of CUP in our hands during the trip. The exchange rate between CUP and CUC is roughly 25:1, although some folks will try to exchange you at 20:1. Meanwhile, the exchange rate between CUC and American dollars is about 1:1, which allows an ease of mental conversion when you’re three mojitos deep. The similar look of the two currencies does lead to some scamming. 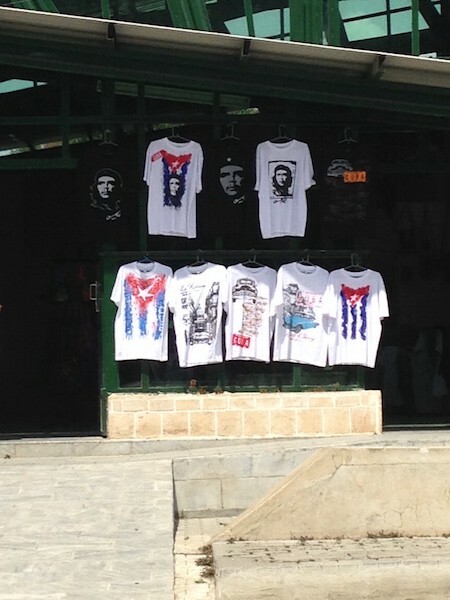 While we were in Santa Clara — the spiritual home of Che Guevara due to his orchestration of the famed 1959 revolutionary battle that ended with General Batista fleeing the country — we saw someone trying to sell a common 3 CUP bill (which features Guevara on front) for 3 CUC. That’s like living in Hyde Park, New York (home of FDR!) and hawking a dime for a dollar. Nope. At least, that should be your mindset, because access is tough. 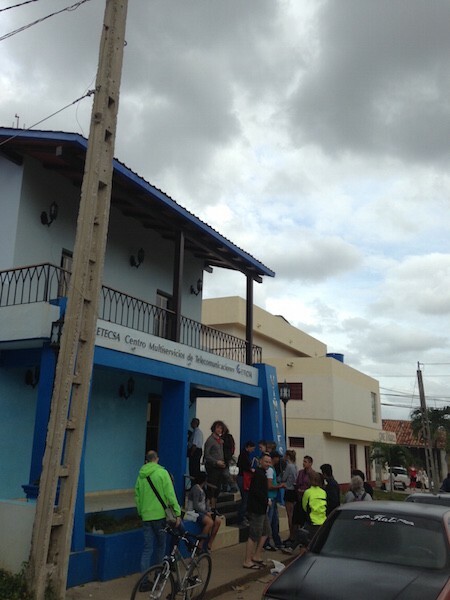 First, you have to find an ETECSA office — these are in all varieties of buildings, usually painted blue; the internet’s run by the government — and stand in a line for about a half hour. Then, you show your passport, get a scratch-off card or two with a login and password, which will run you about 2 CUC an hour. Then, you have to locate a Wi-Fi signal — there are 50 hot spots spread throughout Cuba; you’ll recognize them by the white screen glow bouncing off the faces of the users — and cross your fingers that the signal’s good enough. Before logging on, it’s smart to have an itinerary for what you need to look up, then cross off the second half of it. But it’s probably best to use this time in Cuba to remember what life was like before it turned into the putrid mess of connectivity it’s become. Are you a rich person? Great! Book an all-inclusive resort or four-star hotel and have yourself a grand time. Are you not a rich person? You have two options. Spend 65–100 CUC a night on a not-so-great hotel. Or spend 25–30 CUC on a casa particular. These are basically private rooms in Cuban homes. They’re great. Some you can book online ahead of time, but your best bet is to walk down almost any street in the country, look for a blue sign with a white anchor-like logo, and knock on the door. Explain you want a room, and they’ll show you what they have to offer. If they don’t have availability, they’ll know someone who does. The next morning, they’ll ask if you want breakfast and then go through what they have in a sing-songy voice, tired from repetition. Eggs, bread, fruit juice, coffee, salad, fruit. It’s fine, and costs 5 CUC a person, but around day five or six of it in a row, you might want to just skip it. Many also offer dinner (some great, some decent) for about 10–15 CUC a person. You better be okay with seafood. Walking is the best. You can rent bikes, but we didn’t. The bus system is present, if not extensive. Those old taxis are fun the first few times you use them, but only for short distances. Definitely seek out a newer car for the ride to/from the airport into Havana proper, which costs 30 CUC each way. Also, you can rent cars, which we did, with an online reservation before we got into town. However, from what we could tell, we were lucky it only took an extra two hours and an additional airport visit to obtain our reserved car. So, be mentally prepared for that. If you do rent a car, also be mentally prepared to share the road with vehicles of all types of top-speeds, hordes of bicycles, horse-driven buggies, and a world of potholes. On two-lane roads, pass liberally. 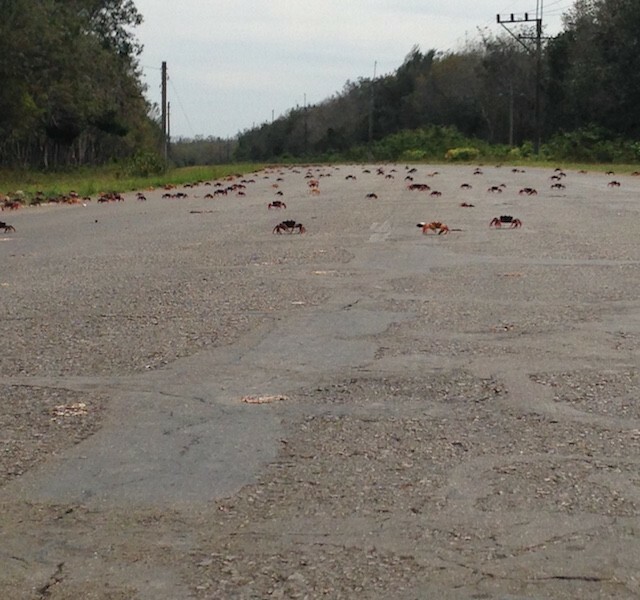 If you drive through Playa Girón in March or April, be prepared to drive over literally hundreds of migrating crabs no matter how hard you try to avoid them. How about getting back into America? I’m not going to use this public forum to suggest that someone re-entering America from, say, Mexico — with an extended layover in Cuba — simply forgo mentioning the part of the trip where they visited an embargoed country when filling out the re-entry form. While it may be easier to avoid a stern question or two from the customs official about the purpose of the trip (which can easily be explained away by saying you were there for “journalism” or “charity work” or any of the 12 categories of authorized travel, wherein they’ll roll their eyes, ask how many cigars you brought back, and let you in) by only putting down “Mexico” or “Canada” on your list of visited countries, it is a federal offense to lie on that form. And so I’m not going to suggest you do that, on this, a public forum. Rick Paulas will do his best to answer any questions you got.